Sell ​​Peugeot 206 xs. Specifications A- 5627 . Car in good condition. After rally inspected and serviced . Fully equipped, ready to take off . Used in polish 2-nd and 3-rd league.Always trouble-free ! Car feature Ireco cage , Sabelt buckets Indianapolis (current approval ) , Bimarco Expert ( approval just expired ( can be extended ) , lanes 4 point Lico (homo expired in 2013 ) , 3 spoke steering wheel Sparco , vertical hydraulic manual Willwood with equalizer Tilton brake force , brake hoses cabin + flexible braid , flooded Motul RBF660 , cup adjustable suspension front and rear asphalt Peugeot Sport , electronic Sparco Lifeline extinguisher system with an aluminum cylinder (valid ) + manual fire extinguisher 2kg (valid) . Big brake front - metal block Carbone Loraine (fantastic brakes ! ) 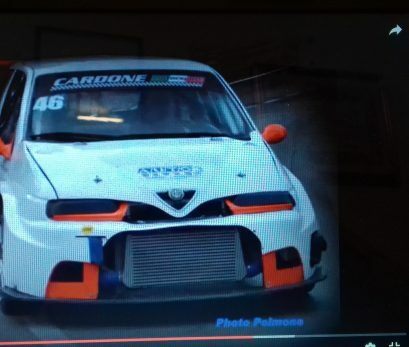 , rear TRW series , first aid kit , triangle , light doors panels , box helmets, board flock , covered with foil anti-splintering glass , main switch , co-driver lamp , blades and hammers safety, clasps on the bonnet Sparco , central locking, electric windows . The engine is built by specifications of the Peugeot Cup 136km (ECU , shafts, tubular exhaust manifold , exhaust pipe , etc ) , seal FIA. Oil in engine Motul 300V Competition 15W50 . New NGK. Inlet Peugeot Sport with K & N. Gearbox with a short gear ratio 13x64 with a Quaife limited slip differential , 5km after completely renovated serviced / supported, flooded Motul , a new clutch pressure and bearing , exhaust catalyst Peugeot Sport . The new left-hand driveshaft. Tires Toyo R888 195/50R15 (tires not very fine) . Plates under the entire car (engine , fuel tank , etc ).The car I add a little parts in the supply : used discs front / rear brake pads front / rear , next 8 whells ( together with those on the car 4 pcs) all white powder coated Peugeot Sport tires , doors right / left mask front and rear ( with glass ) , bumpers front / rear , rear ,wishbone rear suspension with and hubs , transmission of short knockout ratio 13/59, exhaust pipe. Booklet rally and xero book approval . Fiat x1/9 gruppo P3, 2000 pronto corsa, cambio Bacci 5 rapporti e autobloccanti, tutta su Unibol. Per info e chiarimenti sulle componenti e sui lavori fatti telefonare. Tecno Formula K 250 Motore Ducati Desmo Telaio N 228 censito sul libro Tecno. Vettura completa da restaurare.